Bresser 10x50 binoculars. All proceeds go to charity . Polite Notice. A NICE PAIR OF BRESSER 10 x 50 BINOCULARS; GOOD OPTICS; LENS CAPS;NECK STRAP. A NICE PAIR OF BRESSER 10 x 50 BINOCULARS; GOOD OPTICS; LENS CAPS;NECK STRAP.. Condition is Used. Dispatched with Royal Mail Signed For® 2nd Class. Only the safe part of the visible spectrum can pass the filter and this creates a wonderful solar image in the eyepiece. Aluminium tripod with spreader bar and eyepiece holders. Easy to use azimuth mount with tripod. One only Bresser 9 x 63 Spezial JAGD Binoculars. LOWEST PRICE ON THE INTERNET! These superbly luminous efficient binoculars are especially suitable for nature watching. Observing deer during twilight hours is that much more enjoyable. New Bresser Hunter 16x50 High Magnification Binoculars Case. The handy and touch-proofed surface of the BRESSER Hunter 16x50 provides a comfortable grip and the tripod connection is standard. Prism glass: BK-7. Le Tonkinois clear coat oil paint varnish oil China paint linseed oil parquet varnish spar varnish yacht paint organic paint boat paint varnish Vernis boat paint boat oil paint oil bamboo lacquer parquet varnish Tokiol Benar Navyline binoculars 7 x 50 12.2600.00 Steiner Fuji Canon. New Bresser Condor 10x50 Waterproof Binoculars and Case. The Condor 10x50 binoculars combine elegance with utility. This binoculars are waterproof, nitrogen-filled, handy and high quality processed. New Bresser Hunter 10x50 Binoculars Case. The handy and touch-proofed surface of the BRESSER Hunter 10x50 provides a comfortable grip and the tripod connection is standard. Prism glass: BK-7. Prism and lens materials made of BaK-7 glass material. We will always help you to have a 100% positive happy buying experience. Flexible mounting. Easy to assemble. Bresser Hunter 20 x 50 Porro Prism Binoculars. The handy and touch-proofed surface of the BRESSER Hunter 20x50 provides a comfortable grip. The tripod connection is standardised for these models. Optical design Porro. 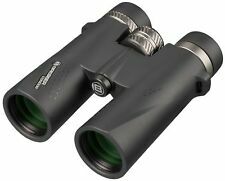 The Bresser Spezial Special Astro 20x80 Porro Prism Binoculars have fully multi coated Bak-4 optical glass. These binoculars have large 80mm/3.1" objective lenses which collect a large amount of light and produce vibrant images. 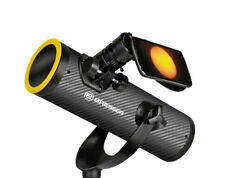 Not only suitable for planets but also for deep-sky objects like galaxies, nebulae and clusters. Easy to use but with tools of the professionals. ST-4 connecting cable is also included. One of the main characteristics of the new back-illuminated SONY IMX290 CMOS sensor is the high sensitivity to light which makes it possible to capture also deep-sky objects without active cooling. New Bresser Condor 8x42 Waterproof Binoculars and Case. The BAK-4 glass material used in the binoculars prisms ensure a high degree of colour fidelity particularly important to the avid birdwatcher. The premium Pirsch series is for every application range the right one, whether on vacation, hiking or hunting. Waterproofed and filled with nitrogen gas to avoid fog from inside. High quality binoculars with BaK-4 optics. The Bresser Pirsch ED 10x42 Binoculars are equipped with the latest phase coatings providing high-resolution images. In addition, these binoculars are equipped with high-performance ED glass, making the colours even more radiant. All NAUTIC models have a water resistant and robust rubber armor as well as nitrogen purged optical tubes. Fully coated Bak-4 optics allow for a bright and sharp image to be obtained, even if the weather conditions have turned bad. The handy and touch-proofed surface of the BRESSER Hunter 8x40 provides a comfortable grip. The tripod connection is standardised for these models. Bresser Hunter 8 x 40 Porro Prism Binoculars. Type: Standard binoculars. Opera Glass: Yes. Magnification: 3x. Included: Binocular, case. Spotting Scope / Monocular: No. Porro Prism: No. Roof Prism: No. It was looked at and then dismissed. It is (I think) as new, with all the parts that should be there. New in box. Box little teared but all new never used. Bresser Topas 7x50 WP / Compass. BRESSER Topaz 7x50 Marine Binoculars TheBRESSER Topaz 7 x 50 is a classicMarine binoculars INPorro prisms construction. TheBinoculars iswaterproof ; by its ergonomicRubber armouring It lies well in the hand and is protected against shocks. BRESSER was founded by Josef Bresser in 1957. The company began, by specializing in the import and distribution of binoculars. The product portfolio of BRESSER has been continuously expanded. 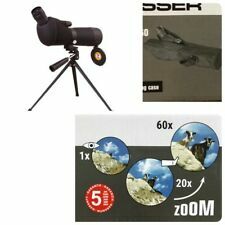 Bresser Spotting Scope with zoom function Little damage carton box 360° rotatable scope, ideal for nature and bird watching, with a fully coated optical glass lens Includes table tripod with pan handle, pull-out sunshade,feet Soft carry case wth with carring strap Attached dust cap protective cap and soft carry case Magnification: 20x – 60x Field of view: 29m wide at 1,000m (at 20x) Near focuse: 12 m (at 20x) Body cover; Rubber armouring, Blue Close range adjustment from: 12m Warranty from ebay seller only 28 days. 5 years warranty It is necessary to contact manufacturers to register the goods in the instructions all in detail written. Bresser Hunter 8-24 x 50 Zoom Porro Prism Binoculars. The handy and touch-proofed surface of the BRESSER Hunter 8-24x50 provides a comfortable grip. The tripod connection is standardised for these models. Manufactured with fully tempered glass finish and equipped with a roof prism system, BK-7 glass material with full tempering and short focus from 5m, these binoculars are an ideal first pair for any child. The Bresser Pirsch ED 10x34 Binoculars are equipped with the latest phase coatings providing high-resolution images. In addition, these binoculars are equipped with high-performance ED glass, making the colours even more radiant. Bresser S-Series 10 x 42 Multicoated Open Hinge Binoculars. The BRESSER S-Series 10x42 is a roof prism binocular with a magnification of 10x and an optical aperture of 42mm. The binocular is build with a handy and stain resistant rubber surface. The Bresser Pirsch ED 8x42 Binoculars are equipped with the latest phase coatings providing high-resolution images. In addition, these binoculars are equipped with high-performance ED glass, making the colours even more radiant. Bresser AR-102/600 EQ3. BRESSER AR-102/600 EQ-3 AT-3 refractor theBRESSER AR-102 impresses with its modern design and brilliant picture quality. An unobtrusive eye-catcher: The deposed in a discreet beige tube sockets form a great contrast to the dark tube and the dark mount. Robust, rubber armoured binocular body. Rubber armoured binocular body. 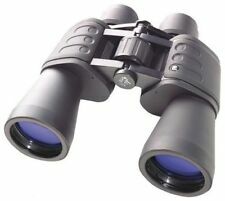 Outdoor Hunter Binoculars Optical System. BRESSER Hunter 8x40 Binoculars. Type: Standard binoculars. The handy and touch-proofed surface of the BRESSER Hunter 8x40 provides a comfortable grip. All models feature BaK-4 prisms with the special UR coating that brings even more light to your eye. All lenses are fully multilayer coated. If you ever have problems with the glass we will help you. National Geographic 50/360 Refractor Telescope With Tripod. Bresser Precison 10x 25 GA Binoculars. Pre-owned, used condition with signs of use and wear but in good used and fully functioning. There is slight dent on one of the lens as shown in photos. Bit dusty. Bresser Hunter 8x40 Porro Prism Binoculars. The handy and touch-proofed surface of the BRESSER Hunter 8x40 provides a comfortable grip. The tripod connection is standardised for these models. Type: Standard binoculars. The Bresser Pirsch ED 8x34 Binoculars are equipped with the latest phase coatings providing high-resolution images. In addition, these binoculars are equipped with high-performance ED glass, making the colours even more radiant. New Bresser Condor 8x25 Waterproof Binoculars and Case. A dioptre correction is standard. These models have BaK-4 prisms with the special UR coating which brings even more light to your eye. In addition, all Condor binoculars are fully multi-layer coated for a better light transmission. Marke Bresser. Optical Design Newton Reflector. Tube length 920 mm. Tube weight 5 kg. Bresser Binoculars Nautic 7x50 with iluminated compass. BRESSER was founded by Josef Bresser in 1957. The company began, by specializing in the import and distribution of binoculars.